Specifications and Images noted above are subject to change and can be used as guidance only. The hammer crusher or hammer crushing machine produced by can crush materials with moisture content lower than 15% and compressive strength less than 100MPa. The hammer crusher machine is applied to crush medium hard materials in industries of cement, chemical, electricity and metallurgy, as well as to do medium and fine crushing of limestone, slag, coke and coal. Matching up with the requirements of our clients, we are involved in offering Casted Crusher Hammer Head. 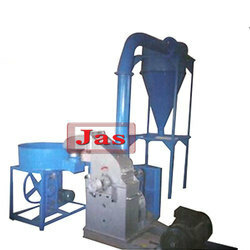 The Hammer Crusher is mainly used for medium and fine crushing of coal, shale and clay lumps of medium hardness. The machine is heavily built and designed for high productivity and easy maintenance. Hammer Crushers are employed to disintegrate almost everything, from paper to limestone and from spices to metal ores. Traditional disintegrators are technologically replaced by these modern and highly versatile hammer mill crushers, having total flexibility.